On the 40th anniversary of The Band's legendary The Last Waltz concert, Robbie Robertson finally tells his own spellbinding story of the band that changed music history, his extraordinary personal journey, and his creative friendships with some of the greatest artists of the last half-century. 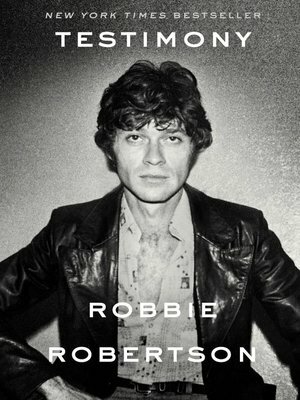 In this captivating memoir, written over five years of reflection, Robbie Robertson employs his unique storyteller's voice to weave together the journey that led him to some of the most pivotal events in music history. He recounts the adventures of his half-Jewish, half-Mohawk upbringing on the Six Nations Indian Reserve and on the gritty streets of Toronto; his odyssey at sixteen to the Mississippi Delta, the fountainhead of American music; the wild early years on the road with rockabilly legend Ronnie Hawkins and The Hawks; his unexpected ties to the Cosa Nostra underworld; the gripping trial-by-fire "going electric" with Bob Dylan on his 1966 world tour, and their ensuing celebrated collaborations; the formation of the Band and the forging of their unique sound, culminating with history's most famous farewell concert, brought to life for all time in Martin Scorsese's great movie The Last Waltz. This is the story of a time and place—the moment when rock 'n' roll became life, when legends like Buddy Holly and Bo Diddley criss-crossed the circuit of clubs and roadhouses from Texas to Toronto, when The Beatles, Hendrix, The Stones, and Warhol moved through the same streets and hotel rooms. It's the story of exciting change as the world tumbled through the '60s and early 70's, and a generation came of age, built on music, love and freedom. Above all, it's the moving story of the profound friendship between five young men who together created a new kind of popular music. Testimony is Robbie Robertson's story, lyrical and true, as only he could tell it.